GP Petroleums (GPPL), a leading lubricant maker in India and part of UAE-based GP Global, has signed an agreement with MAG Lube, a leading manufacturer of lubricants in the region, to manufacture and market IPOL lubricants across the world. According to the agreement, MAG Lube will pay a royalty to GPPL for the formulation technology and brand. The high quality of IPOL lubricants will be maintained across the world in accordance with the quality standards stipulated by GPPL for IPOL. “The consolidation of lubricant brands around the world is seen as an opportunity to grow and GP Petroleums with its brand IPOL, is well positioned to fill the space for affordable and high quality products in emerging markets,” said Hari Prakash M, CEO at GP Petroleums Ltd.
“In a short time span, MAG Lube is present in over 50 countries and we are looking to leverage this presence to take IPOL global, and in the process create a new global brand. 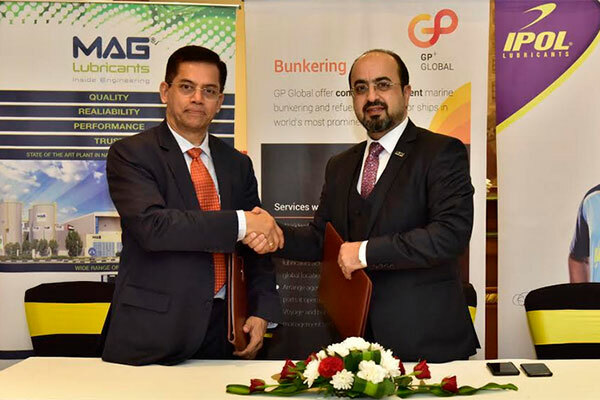 GP Global has ambitions to become a 250,000 MTPA lubricant company by 2021 and this agreement is the first and most vital cog in our efforts to achieve our shareholders vision,” said Sanjay Singh, COO at Maglube, UAE. “We are sure that our expertise and widespread presence in various countries along with GP Petroleums, veterans in the lubricant sector, will result in a great partnership. We are happy to be a catalyst and part of IPOL’s journey towards becoming an international brand,” said Mahmoud Al Theraawi, CEO at Maglube LLC.